The Parish Council is seeking a candidate with a good working knowledge of Microsoft software but this is not essential as training will be provided. This position is currently home-based and the appointee will require access to office space and a broadband connection. Broad Hinton & Winterbourne Bassett Parish Council will provide the successful applicant with a laptop and printer. The candidate should be confident with Meeting Minute-taking, circulation and publication. 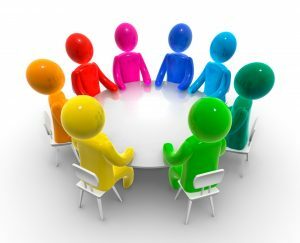 The Parish Council usually meets on the first Monday evening of the month, every 2 months. The Clerk, who is also the Responsible Financial Officer, is responsible for managing the Parish Council’s finances, including the preparation of annual accounting and audit statements. The applicant will ideally have experience in administration; book-keeping or basic accounting. The Parish Clerk is active in dealing with all correspondence relating to the Parish Council’s business and will interact with the public, so a pleasant and efficient outlook is essential. A working knowledge of Parish Council procedures and administration would be useful but not essential, as training will be provided. The Parish Council is currently developing a Communication Strategy, so ideally the successful candidate will have some knowledge and experience of website and social media administration. Closing date for applications is 15th November 2018.